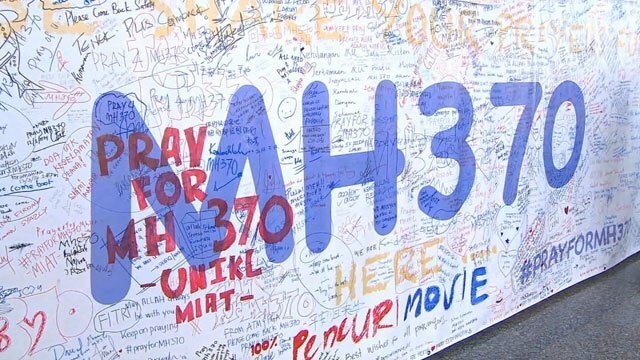 The search for the Malaysian flight MH379 that vanished in March 2014 has been suspended after three years. The families of the victims say the decision is “irresponsible”. Family support group Voice370 said the search ought to be expanded – it was “an inescapable duty owed to the flying public”. The plane vanished en route to Beijing from Kuala Lumpur with 239 on board. More than 46,300 sq miles of the Indian Ocean has been searched with no results. Pieces of debris have been found as far away as Madagascar. Only seven have been identified as definitely or highly likely to be from the Boeing 777. There were 14 nationalities among the 227 passengers and 12 crew on board the plane. The majority – 153 people – were Chinese. Announcing the suspension, Australia, Malaysia and China said “no new information has been discovered to determine the specific location of the aircraft” despite numerous studies. They remained hopeful this would happen in the future. However, Voice370 said the search must continue and be extended to include an area of some 25,000 sq km north of the current one, recommended by a report released by the Australian Transport Safety Bureau in December 2016. A report in November 2016 said theM370 flight probably made a “high and increasing rate of descent” into the Indian Ocean.